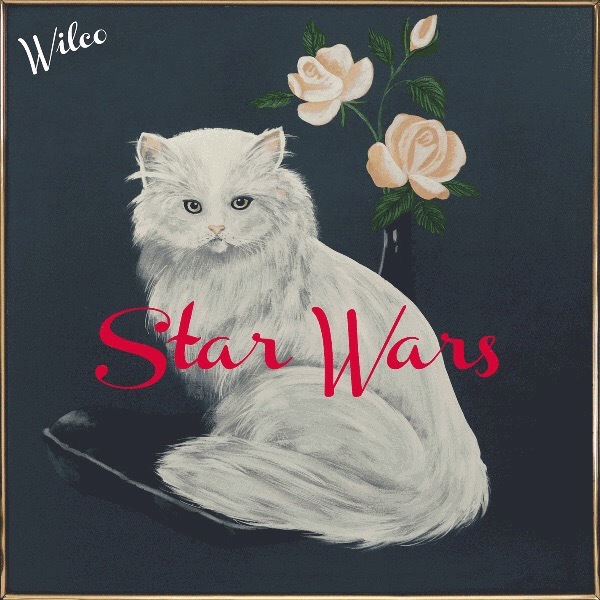 It has been over a week since Wilco dropped Star Wars as a free download on their website. They then followed it up with a blog post with advice of other acts you should support with your extra Wilco cash. An established act that gets it. I have had several days to marinate in it and I love it – total feel of a Wilco album, but something new too. I like that the songs are short and compact and that it has a messy feel – not shoddy, but not over produced either – a nice fine line. The album kicks off with a noisy instrumental track “EKG” that is all about dissonance. One of the great things about Wilco is their comfort with pop rock, folk and prog (sometimes in the same song). For example the next track, “More…” Opens with a folky strum only to trip into beatlesque high gear with some great noise guitar spicing up the mix. “Random Name Generator” is a great sounding pop rock jam with an edge (think Velvet Underground or Big Star). This is “roll down the windows and turn your car radio loud enough to annoy your neighbor at a stoplight” kind of jam. “The Joke Explained” has a dylanesque vocal and lyric backed by a George Harrison solo rock, that is Wilco in a nutshell. “You Satellite” evokes Yankee Hotel Foxtrot. A drone of buzz saw guitar mixed with jangling guitar. Tweedy does his best Lou Reed rap over the drone. The song ends with an extended jam. “Taste The Ceiling” is easy listening Wilco folk rock. Classic Tweedy: plaintive vocals bleat. “Picked Ginger” is a nice heavy groove – it sounds like Wilco is passing AC/DC through their system. “Where Do I Begin” is more plaintive bleating that starts cool, then simmers and finally boils over the pot as it fades to black. “Cold Slope” is a cosmic mess of Wilco’s full repertoire of sounds yet it works – a tight rope walk. “King Of You” has the band sounding absolutely Replacements like including Tweedy’s phlegmatic pronunciations. Magnetized” ends the album with a dirge that flips itself into a pop beauty. A gorgeous love song. Overall I am loving this album. It sounds less deliberate than the typically Wilco album and that is the charm. It is a revealer – rewarding new flavors after each listen. There is so much going on beneath the surface the leaves will have fallen before I hear all the nuances. A great summer gift from arguably America’s greatest active band. I can’t wait until the LP version is available (CD release date is August 21 and vinyl a little later, on November 27 – Record Store Day).